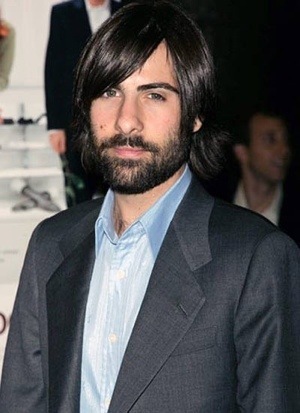 Mancrush Friday – Jason Schwartzman. Posted byPaul	 June 8, 2012 June 8, 2012 Leave a comment on Mancrush Friday – Jason Schwartzman. And here we go, another delve into the closet. This week I have chosen Jason Schwartzman, a man who can absolutely and categorically do no wrong in my eyes. His films are brilliant, his music is brilliant, his TV show is brilliant, his hair… etc. I’ve worked out that a lot of the appeal for Schwartzman is the same kind as that I have for James Franco (a man who will no doubt make it onto my Friday blog in the near future). What I mean by this is that neither of them are happy in just one field, they may have cut their teeth in TV or film but they don’t let themselves become ‘film stars’ – whatever that may mean. For Schwartzman this means choosing a very specific type of role, a choice I hope is provoked by his history of working with Wes Anderson and the like. The films and roles are always just shy of the big hits or the blockbusters, they’re always a bit quirky or a bit niche, in a similar way to how Bill Murray chooses to select work. The other thing I love about Schwartzman is his music. I don’t know how well known a fact it is that he was the drummer for Phantom Planet (best known for ‘The OC theme song’ AKA California). 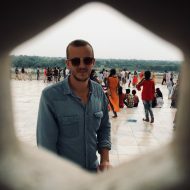 Schwartzman has since taken it upon himself to release two albums under the moniker Coconut Records through his own label; Young Baby Records. Both albums; Nighttiming (2007) and Davy (2009), first appeared online as digital downloads and were later released as physical discs. Tracks from both albums occasionally crop up on soundtracks but never really broke through in their own right. In a recent interview I’m sure Schwartzman said he would like to record another album, which to me at least proves that it doesn’t matter about sales, if you enjoy doing it, and it doesn’t compromise anything then just carry on. That’s what I’ll take from Mr Jason Fracesco Schwartzman, it doesn’t matter what anyone else thinks, just be happy with what you’re doing. Moonrise Kingdom – an almost review.